The recent Phillip Island International Classic saw an impressive and enthusiastic contingent of Irish riders make the long journey down and back. Among them was Sean Henry, no stranger to these pages over the years, who worked hard all weekend trying to improve his lap times. Dissatisfied with his results he decided to give it his all for the last race of the weekend on Sunday afternoon. 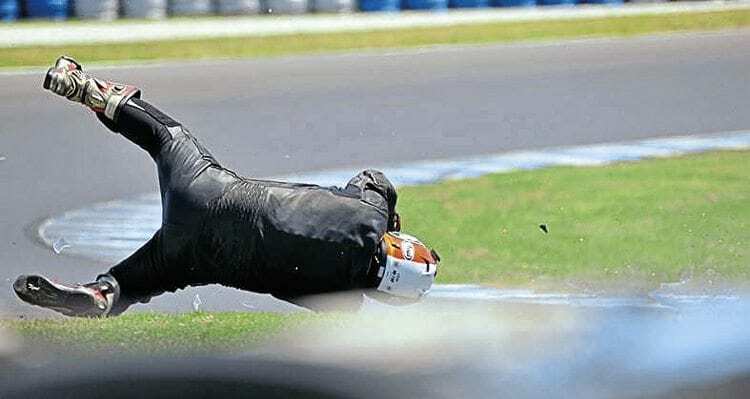 However, on the last lap, of the last race, while braking hard for Siberia, he overdid it just a fraction and bounced and rolled his way into the kitty litter. Thankfully, other than scuffed leathers and a slightly dented pride, Sean was unhurt and is planning his return visit in 2018. Read more news in Issue 185 of CR – on sale now!